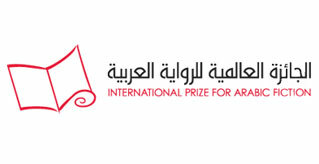 The six authors shortlisted for the 2016 International Prize for Arabic Fiction will take part in a series of events in Abu Dhabi in the coming week. Prior to the winner ceremony, which will take place during the evening of Tuesday 26 April, shortlisted authors Tareq Bakari, Rabai al-Madhoun, Mohamed Rabie and Mahmoud Shukair will discuss their works at a Writers’ Union event at the National Theatre (8pm, Sunday 24 April). The event will be hosted by Salha Obaid. On Wednesday, all five shortlisted authors and the newly announced winner of this year’s prize will then take part in events on the opening day of the Abu Dhabi International Book Fair. From 1–5pm, in association with Al Multaqa Book Club, the authors will celebrate their IPAF successes in turn. The winner will then speak to Waleed Alaa Aldin at the Discussion Sofa at 7pm, in their first official public event. Last, but by no means least, the authors will take part in the BBC Arabic Service’sKutub Book Club, in a pre-recorded session at NYU Abu Dhabi (1pm,Thursday 28 April).